The 10 Best Mexican Restaurants in Alabama! Looking for something to spice up your dinner life? These 10 Alabama restaurants give you that South of the Border experience right in your back yard. From flavorful margaritas to tasty tacos, you’ll find something for everyone at any of these locations! For great authentic Mexican Food in the Tuscaloosa area, look no further than Hacienda El Mexicano. Sitting just off Queen City Avenue and University Boulevard, the restaurant is home to delicious meals and solid margaritas. Located on booming 2nd Avenue in Birmingham, El Barrio offers inspired menus that pull classic dishes from several regions across Mexico. Open for lunch, dinner, and weekend brunch, there is always something new to discover on their menu. Not to mention, the warm, welcoming atmosphere will make you feel right at home. At Mi Casa, everyone is family. The staff is friendly, and their boundless menu has something for everyone. They even carry a number of flavors of Jarritos sodas that will compliment any meal, from tacos to burritos. For classic Mexican food done right, Don Carlos in Daphne is the place to stop. From their steak & shrimp fajitas to their enchiladas rancheras, you really cannot go wrong at Don Carlos. The atmosphere is relaxed, yet welcoming for kids of any age. If you enjoy Tex-Mex, Jalapeño’s in Tuscaloosa will be a treat for you. They have excellent Happy Hours and a spacious patio for those hot summer nights. Try their fajita gumbo—it’s out of this world. You’ve never seen a Mexican restaurant quite like Fuego in Mobile. Each dish has a coastal flare that will excite your inner foodie, especially if you love seafood. For a refreshing, zesty dish, try their jalapeño pineapple skewered shrimp—you’ll thank yourself later. El Rio is a restaurant where you’ll want to try something new every time you visit. Their exciting menu has everything from a well-seasoned Pollo Hawaii to a delicious Burrito California. Complement your meal with one of their large margaritas—they’ll help you kick back after a rough day. 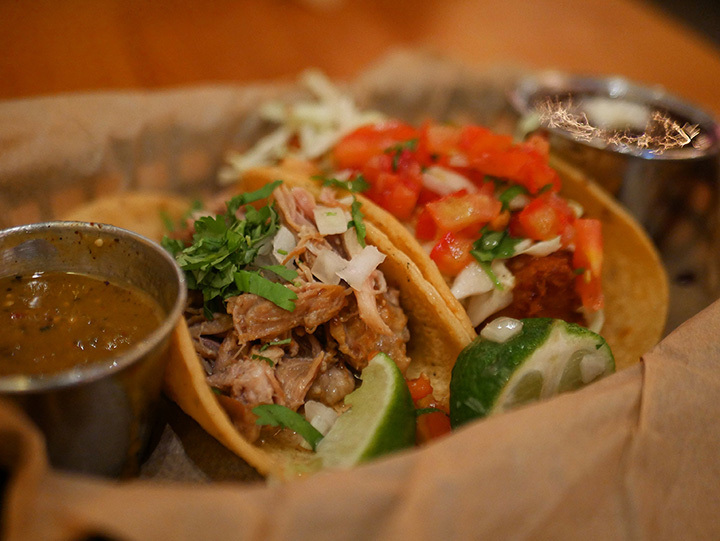 Rosie’s Cantina is a fun and lively atmosphere with a solid menu selection. Whether you’re looking for tacos or chalupas, Rosie’s can meet your craving. For dessert, try their perfectly caramelized flan. If you’re looking for exciting new takes on Mexican cuisine, visit Rojo in Birmingham. Their innovative menu will keep you interested each time you dine. For diners with a gluten-intolerance, Rojo has an entirely gluten-free menu. Be sure to check out their drink menu for delightfully innovative beverages. If you have kids that are picky eaters but still want your fill of Mexican food, check out Sabora Mexico in Mobile. They have an extensive menu of tasty Mexican dishes from quesadillas to carne asada, and a kids menu that meets your children’s needs. Bring the whole family to their welcoming and lively atmosphere.